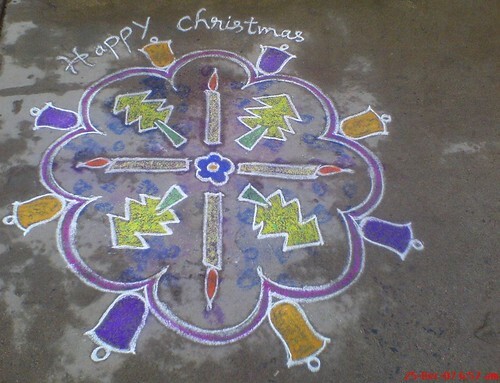 The Christmas Kolam drawn at my house today morning. Thanks Srini. I am going to use your kolam in my greetings. Hope you don't mind. What is bought is cheaper than a gift. ~Portuguese Proverb Nice Blog thanks for posting.